On Sunday, June 2, 2019 people across Canada will walk in support of the 17th Annual Hike for Hospice. Here in Georgina, members of our community will gather at Loretto Maryholme in Roches Point to build awareness and raise funds in support of Hospice Georgina. 100% of funds raised stays in Georgina. 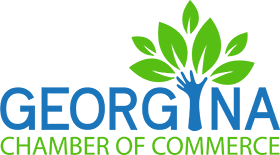 With community support, Hospice Georgina will continue our critical work of providing compassionate care to the Georgina Community. Every year, we serve the families in the Georgina Community. There is no cost or fee to use any of our hospice palliative care and bereavement services and we accept referrals by anyone. 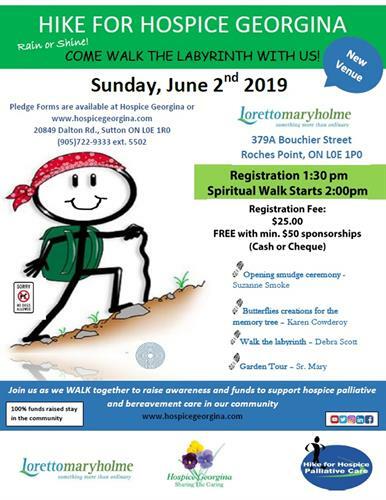 Register: Register online at www.hospicegeorgina.com or download the pledge form and bring it with your registration fee (if applicable) on event day. Fundraise: Collect pledges for the hike. Participate: Not registered? Sign up at the event or just come out to show your support and enjoy the event activities. Also a variety of vendors will be on site. Registration fee $25 per participant, or free with min. $50 or more in sponsorships.